OLIVE JAPAN®2017 International Olive Marche Official Brochure is now available ! 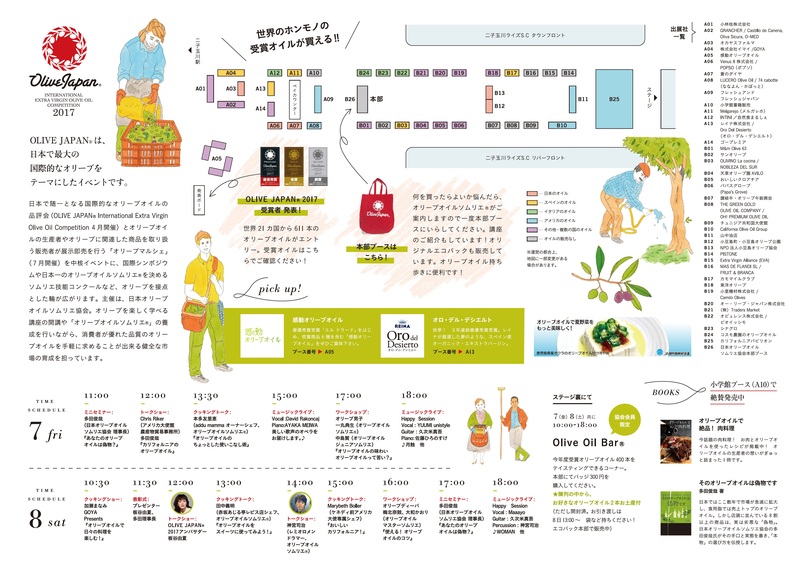 Home » News » News » OLIVE JAPAN®2017 International Olive Marche Official Brochure is now available ! 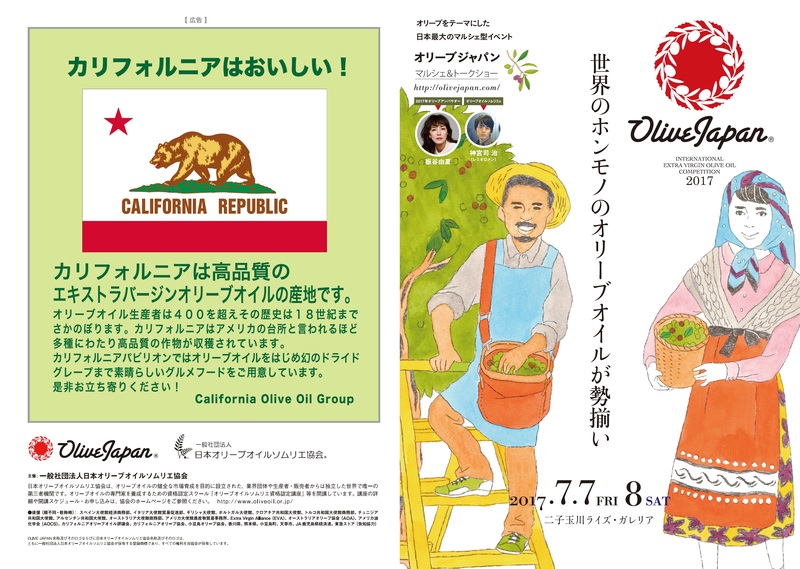 The second core event following by the International Olive Oil Competition, the most destinctive feature of OLIVE JAPAN® is its International Marche event in July. Award Winners booth stands and various stage show will be presented to over 180,000 participants. This is because, OLIVE JAPAN® is organized by the Olive Oil Sommelier Association of JAPAN (OSAJ), an independent 3rd party neutral body for concentrating consumer education of olive oil. Simply enjoy 2 days on July 7th and 9th in Tokyo, Futako Tamagawa shopping zone with OLIVE JAPAN® International Olive Marche !